You save 46% (18,53 €). A MBSS type plate carrier made of durable nylon. It is equipped with horizontal PALS straps on the front and rear panels. Thanks to this, the attachment of additional MOLLE standard pouches is possible. Moreover, the additional gear can be attached in any possible way which is comfortable for the user. 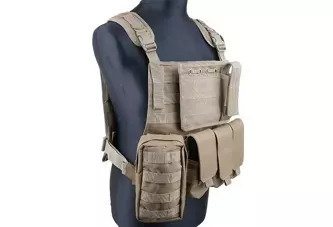 The vest is equipped with two ballistic inserts compartments allowing the placement of two small arms protective inserts in the front and in the back. The vest is equipped with a set of STANAG pouches, an administration panel with a sewn on hook&loop panel which allows the attachment of any patch or tag, a double pistol pouch and first aid kit pouch. * Solid, lightweight vest * Spaces for Front and Back armour plates (~25×30cm) * Pouches are strong * Admin pouch inner compartment can hold 2x M4 mags * The price!!! On the large utility pouch, the horisontal MOLLE on the backside had way to narrow gaps for the vertical stripes to fit. What i did and i reckommend you to do is to leave the center row stitching but cut the other two on the stripes. This is a very minor detail but nothing that ruins the mood in any way. Great product! It's tactic vest and bulletproof vest all in one! If you want more pouches on it - no problem - molly straps are all over it. Even managed to fasten my dummy knife on shoulder strap - looks like it should. GREAT! Nice and pretty light. Look nice with my AOR2 Camo! I had my doubt but I thought: why not just try it? It really is an awesome vest! 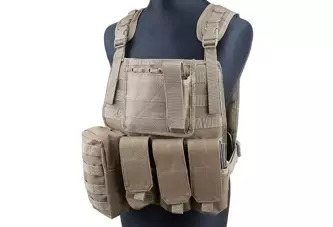 It feels good, the pouches are nice and will fit some of your pistol and m4 type of mags. I recently bought the AK pouches from GFC and the will fit my AK mags perfectly! great work making your products! Great price and good quality! Perfect product for excellent price! Perfect for long, good pouches and high quality at a great price items. Great quality, molle was a bit off tho. overall you get more then you pay for! This vest is great, fits well, very durable and of very high quality, comfortable to wear and for the price..... an absolute bargain!!! You'd be crazy to say no!!!! 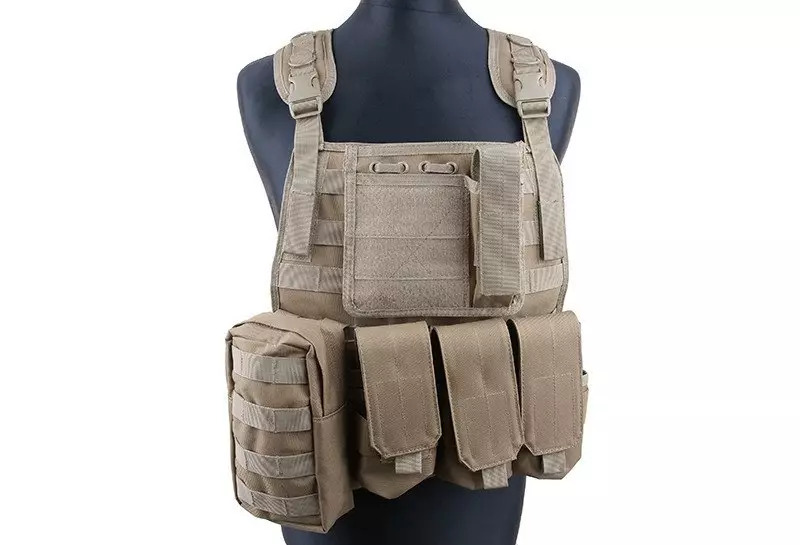 Great plate carrier, getting 6 M4 mags in the mag pouch a bit of a tight squeeze, but im sure it just needs a bit of bedding in. 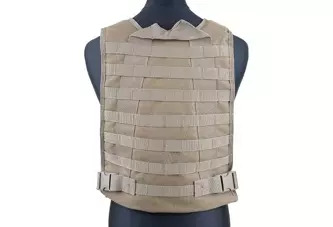 Sturdy and comfortable vest for an excellent price.